The Patriot Supersonic Mega USB 3.1 Gen. 1 flash drive combines superior performance with a stylish form factor, making your data safe and easily accessible. 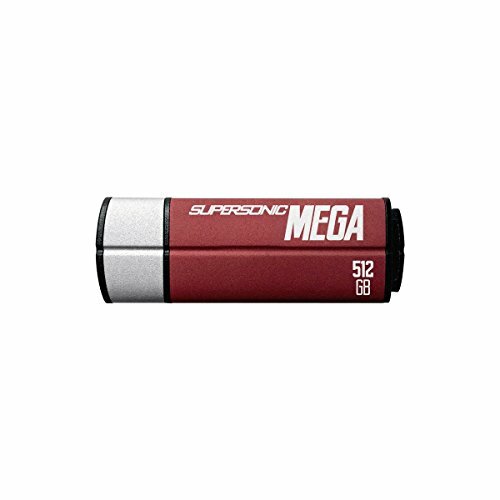 With storage capacities ranging from 128GB to 512GB, the Supersonic Mega provides some of the largest storage solutions on the market. A durable aluminum enclosure enables shock resistance up to 15Gs to ensure greater protection of your data. USB 3.1 technology ensures the Patriot Supersonic Mega to perform up to ten times faster than USB 2.0 drives, allowing a 2GB file to be transferred in mere seconds. By combining a single-chip USB 3.1 flash memory controller with 8-Channel technology, this flash drive delivers sequential read performance at speeds up to 380MB/s read and 70MB/s write. The Patriot Supersonic Mega USB 3.1 flash drive is available in 128GB, 256GB and 512GB capacities and carries a 5-year warranty. It is compatible with latest version of Windows, Linux 2.4, and Mac OS.